Lock in a great price for Magnolia Inn – rated 9.1 by recent guests! Location is central and easy access to everything. Staff are friendly and helpful and they assisted with restaurant and tour reservations. 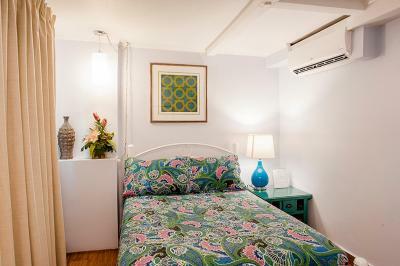 Room are clean and spacious and overall a good value for staying in Casco. Lovely property, beautiful space, the rooms are large and clean. I stayed in a dorm and was very comfortable. Everything, starting with the location, the friendly staff, the fact that it's nice, quiet and pretty, WiFi works very well, you can book excursions too at a good price... it's a really good value in my opinion. Perfect location right in Old Town. Efficient English speaking staff. 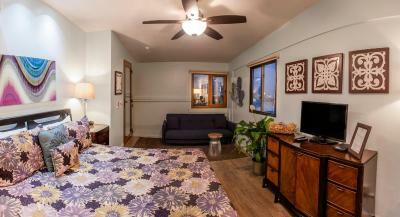 Hot showers, cool AC, nice common area & well equipped kitchen. Strong WiFi. Clean and very well maintained hostel/hotel. We stayed in the penthouse and it was surprisingly and pleasantly quiet for the area. Super clean and comfortable. Hot shower, cold ac. Super staff and the building is beautiful. Definitely would stay again! 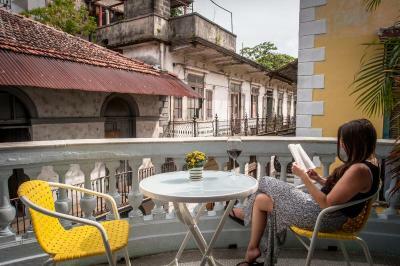 The location is perfect for those who want to stay in Casco Viejo and would like a quiet and comfortable place to stay but also be right around the corner from all the action. The building was beautiful and the bed and room were very comfortable. Love the location of Magnolia Inn. We prefer to stay here every time we travel through Panama City. The staff are incredibly friendly. Our bags have been lost by the airlines a couple times and the front desk is very helpful in coordinating bags getting delivered to the hotel. Location in Casco Viejo which is safe and walkable with many restaurants. Room was large. Staff was very helpful. Hot water in showers. Magnolia Inn This rating is a reflection of how the property compares to the industry standard when it comes to price, facilities and services available. It's based on a self-evaluation by the property. Use this rating to help choose your stay! One of our best sellers in Panama City! Magnolia Inn is in a refurbished French-style colonial manor in Panama City’s Old Town. It has terraces, a shared dining room and a common kitchen. The penthouse suite has modern décor with minimalist-style furniture. The private bathroom has a shower. It also includes a mini fridge, a coffee maker, a flat-screen cable TV, and air conditioning. In the historic district, many restaurants are within walking distance of the Magnolia Inn. Guest can find grocery stores just over a quarter mile from the property. Magnolia Inn can refer guests to local tour agencies that can arrange excursions. The National Theatre is a 2-minute walk from the apartment, and a variety of restaurants, bars, shops and convenience stores are within a 5 minute walk of the property. The local airport, Marcos A. Gelabert International Airport, is a 15-minute drive away, and Tocumen International Airport is a 30-minute drive from the property. 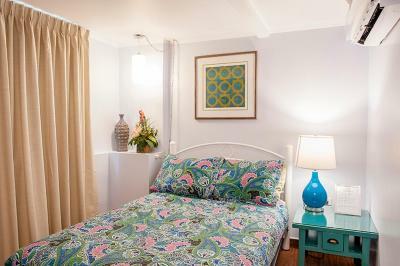 When would you like to stay at Magnolia Inn? This penthouse room with views of the Panama skyline and neighboring Casco Viejo offers a king size orthopedic bed with an additional twin or sofa bed, furnishings and linens. Penthouse rooms also contain a coffee bar with coffee maker, electric kettle, and mini-refrigerator. 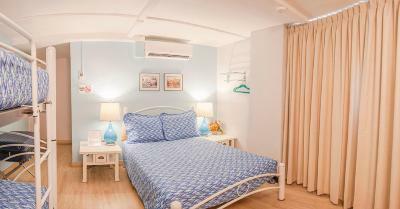 Extra features include in-room safe, air conditioning, ceiling fan, flat screen TV with local cable, high speed WiFi and a seating area. Private bathroom comes with hot water. This room comes with an orthopedic queen bed. 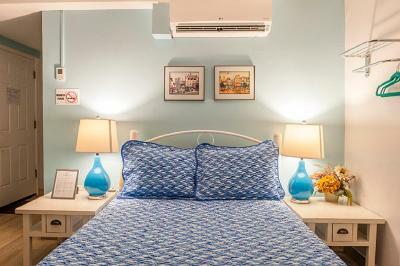 Extra features includes in-room safe, air conditioning, flat screen TV with local cable, and high speed WiFi. There is a spacious private bathroom with hot water. Bed linen and towels are provided. The Magnolia Inn is located in the heart of Casco Viejo, steps away from the Metropolitan Cathedral and Independence Plaza. 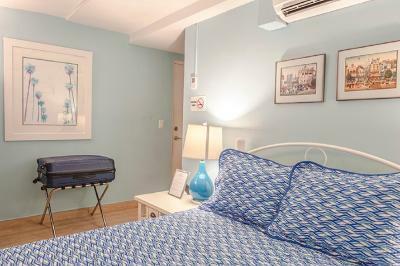 It is a short walk from everything Casco Viejo has to offer. The Inn was built just after the turn of the century and no money was spared at the time of construction. You'll find an original marble staircase, ornate ceilings, and curved balconies that we've saved and restored to their prior grandeur. There are multiple levels of hotel rooms to suit various budgets. The Penthouse offers unparalleled views with King beds and extra space to stretch out and relax. 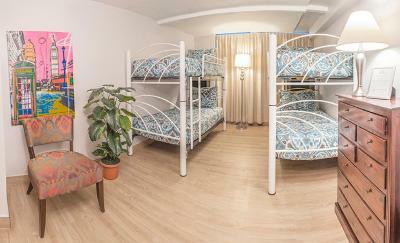 Our Family floor offers 2 Queen Beds per room, and our Mezzanine floor offers a single Queen Bed per room. 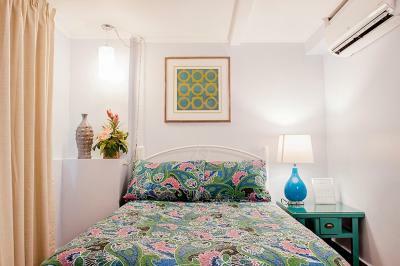 Each of the rooms are individually decorated with quality furnishings and linens. Additionally, there is a grand sitting room with American TV channels and several comfortable sofas to lounge and enjoy a drink and conversation with other guests from around the world. There is a place for everyone at the Magnolia Inn! House Rules Magnolia Inn takes special requests – add in the next step! Magnolia Inn accepts these cards and reserves the right to temporarily hold an amount prior to arrival. Please note that Magnolia Inn accepts payments with Visa and MasterCard, but also through Pay Pal. Guests below 18 years old are not allowed to stay in dormitory rooms unless the whole room is booked by the family or group. Please inform Magnolia Inn of your expected arrival time in advance. You can use the Special Requests box when booking, or contact the property directly using the contact details in your confirmation. Very friendly staff, perfect location, nice rooms and clean bathrooms. Everything was perfect ! The room is very spaceful and had very comfortable beds! We stayed twice in a nice room and extended our stay with 1 day in the dormitory because our plane was delayed. 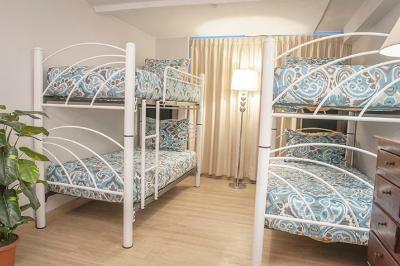 The bed in the dormitory was also very Comfortable. Lots of nice restaurants in the neighborhood. Street noice can be loud at times. The location is great, this is a historic and safe area. This is a very relaxing place to stay and meet nice travelers. Not a party hostel. NO Dedicated parking. Too noisy. There were bars nearby which played loud music. The staircase was noisy when people walked and down it. No view from Room 2 A. No phone to front desk. The location is very nice. The room though on small side was clean and nicely decorated. It had every thing you need including coffee maker, refrigerator. A microwave available in common area. The price was reasonable. WiFi worked well. Sometimes can be a little Street noise specially in weekend but that’s normal for Casco Visjo Area. I wish breakfast was included. Our room had a funny smell that did not get covered by essential oil. Maybe mold in the diffuser? I am a massage therapist and you must clean diffusers with vinegar or bleach every week. It’s my second time at the Magnolia Inn and it did not disappoint! I was welcomed and every staff was extremely helpful and friendly! Wonderful place, comfortable, charming, great facilities in a great location. I will be back. Our only suggestion would be a mirror in the bedroom as well as in the bathroom! We liked the excellent, central location, the reasonable price for the location, the clean, comfortable room, the public lounge, dining area and kitchen with free coffee, and the staff. Everyone was very polite and helpful, with suggestions for dining in the neighbourhood, information about taxi fares to various tourist sites in Panama City, and arranging a taxi to the airport as the shuttle did not accommodate our flight schedule. The air conditioner in our room was a little smelly. 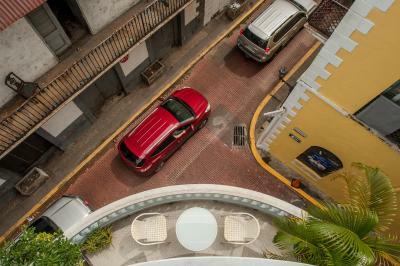 Nice place to visit Casco viejo, the room was very clean, and the staff was very nice. They also have a nice area with facilities to cook. The pillows were aweful and had us crying for a massage the next day. Furthermore, it was extremely loud outside with fireworks on a Thursday (without any celebration day going on) until well past midnight which made it impossible to sleep. The staff is very helpful and friendly. Our presidential suite room was excellent. It was noisy at night, 9 pm, but I think this is a rare ocurrence. Can't wait to see the area in another year or two, to see the completed remodel of the rest of the area. Loved seeing the remodel of this historic building.